We’d love your help. Let us know what’s wrong with this preview of Prison Ramen by Clifton Collins. Instant ramen is a ubiquitous food, beloved by anyone looking for a cheap, tasty bite—including prisoners, who buy it at the comm A unique and edgy cookbook, Prison Ramen takes readers behind bars with more than 65 ramen recipes and stories of prison life from the inmate/cooks who devised them, including celebrities like Slash from Guns n’ Roses and the actor Shia LaBeouf. To ask other readers questions about Prison Ramen, please sign up. Ramen recipes paired with stories from 'behind the wall' about prisoners having to struggle to survive. Some of the stories are heartbreaking - individuals finding that they must do things they never would choose to do - in an atmosphere of sudden violence (stealing shoes from a fellow prisoner). This book would also be helpful to college students because the recipes are so simple and only require access to a microwave. 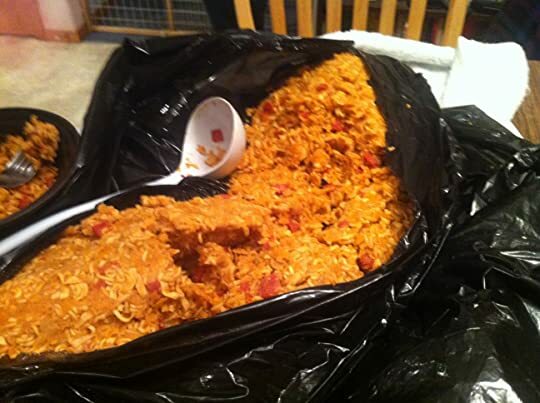 Prison Ramen was an interesting mix. There was more heart than I anticipated. 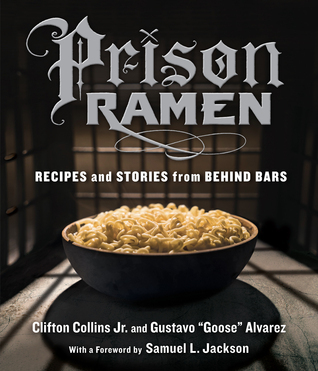 The authors asked a lot of famous people to contribute their stories from behind bars and/or their own Ramen recipe. The Stories run the gamut: interesting, violent, serious, heartwarming, appalling, and humorous. Each story will open your eyes to an element of life behind bars. I was actually interested in each short story. The People Those that shared their stories spent anywhere from a few hours to life imprisonment behind bars. You'll hear stories from Slash, Shia LaBeouf, Taryn Manning, Danny Trejo, as well as people the authors know. The Recipes The ingredients vary, but most are made with whatever could be scrounged up from the commissary. Some ingredients might be brought in by family, bribed from a kitchen worker, or grown in The Yard. You might have to save the ingredients over time and cooking is.... interesting. 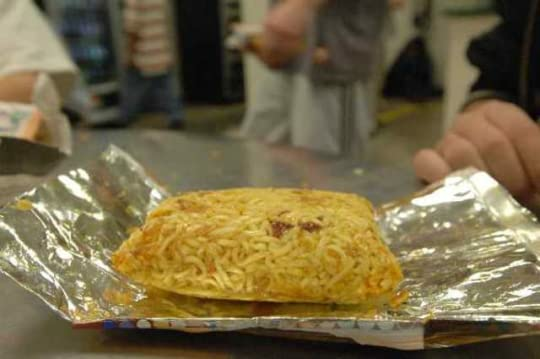 Ramen Tamales - Yes, this is really a thing. 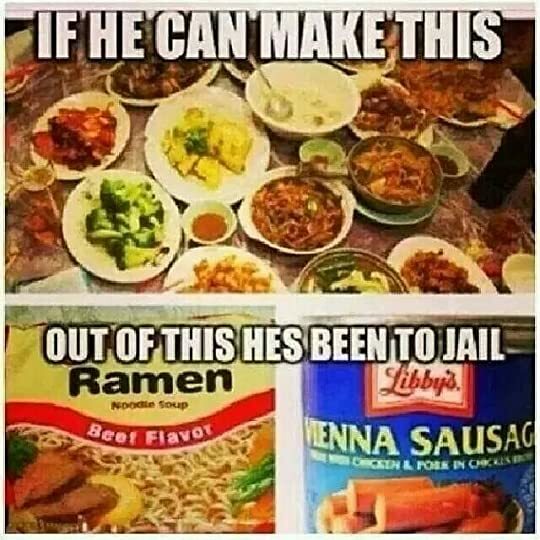 Ramen-agra - For getting conjugal ready. 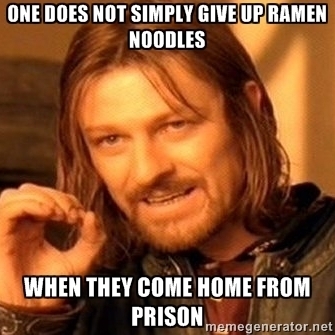 Koinonia Ramen - The Stone Soup of Prison Ramen. Basically a group of people throw whatever they have to contribute in a clean garbage bag. 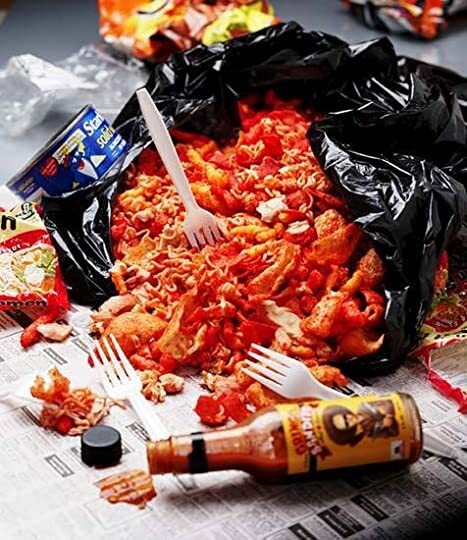 From Ramen, to processed meats, to chips or pork rinds, to mayo packets, sriracha, you name it. It all goes in. Then add the hottest tap water you can. Set it aside to "cook" and swell. Open it up and feast together. There are more recipes than you can imagine. There's even "Parole Cheesecake" and "Ding Dong Cake". Have some hard boiled eggs to mix in Ramen? 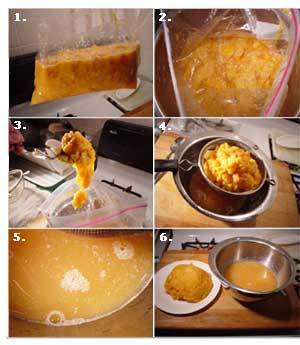 There are a few recipes that aren't Ramen based, such as Prison Hooch called Pruno. Which is a big deal, but very, very, nasty. Chances are, you won't make most of these recipes, but it might inspire you to create something from almost nothing. The stories are worth a read. So I happen to know a friend who has been to our local county jail a couple of times. You can imagine how awkward it was for me to ask "Hey, can I ask you some things about jail food because this seems kind of crazy." Fortunately he agreed, and assured me that Ramen Tamales are an actual thing, as are 'nuts to butts'. I also heard a few stories about jail that are pretty much only funny in retrospect, but still good stories. What I like about this book is that it's not just a recipe book. A priso So I happen to know a friend who has been to our local county jail a couple of times. You can imagine how awkward it was for me to ask "Hey, can I ask you some things about jail food because this seems kind of crazy." What I like about this book is that it's not just a recipe book. A prison recipe book with no context is boring. But the authors give us context in the form of a story before every recipe, Yeah, there are also letters and things from a few celebrities, but it doesn't need them. The stories and recipes stand on their own. Overall: I'm still scared to give it as a gift for fear of being offensive, BUT I will definitely be buying it for a few high school grads I know who have never been to prison but will most likely be living off Ramen for a couple of years. I enjoyed this. I really like cookbooks where the food is cooked in clever ways. I'm impressed how the prisoners figured out how to cook in their cells. It was quite ingenious. I got some good tips from the book. I also use the soak method to cook my ramen. I heat up water in my electric kettle, pour the boiling water over a bowl of ramen, cover it, let it soak, walk away and come back. For some reason, it never occurred to me to break up the ramen brick, before soaking it. (I even have a culina I enjoyed this. I really like cookbooks where the food is cooked in clever ways. I'm impressed how the prisoners figured out how to cook in their cells. It was quite ingenious. I got some good tips from the book. I also use the soak method to cook my ramen. I heat up water in my electric kettle, pour the boiling water over a bowl of ramen, cover it, let it soak, walk away and come back. For some reason, it never occurred to me to break up the ramen brick, before soaking it. (I even have a culinary degree! What the hell is wrong with me?!) The book told me to do it, so now my ramen takes less time to cook, and is in smaller pieces for when I make ramelets (ramen omelets). There's more recipes than just ramen in the book. I have drank a slight variation on the Belushi coffee. (I used mocha salted caramel creamer, cause that's what I had. Maybe more of a Jim than a John Belushi) It does work on perking you the hell up. You feel bad or sleepy, make a Belushi. You'll feel better about life! Review - Prison Ramen - 5 out of 5 stars You might ask what the hecks wrong with me; managing to review two books in as many days, after months of nothing. Well, part of that is down to Prison Ramen being structured in an easy, bite-sized way. These short stories are, for the most part, each an important life lesson and an eye opener as to how cheap life can really be in some of the American prisons. One of the two-pagers is a section from a film script, but mostly these are real accounts. Some Review - Prison Ramen - 5 out of 5 stars You might ask what the hecks wrong with me; managing to review two books in as many days, after months of nothing. 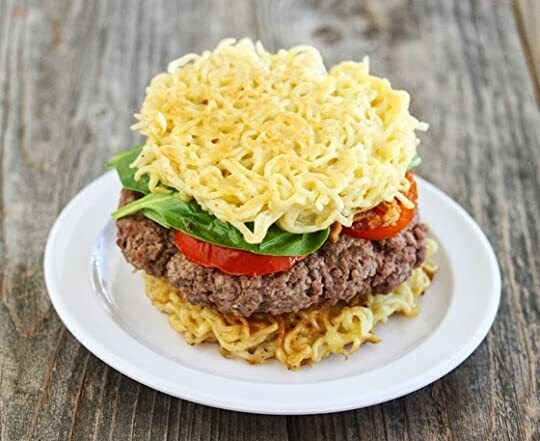 Well, part of that is down to Prison Ramen being structured in an easy, bite-sized way. These short stories are, for the most part, each an important life lesson and an eye opener as to how cheap life can really be in some of the American prisons. One of the two-pagers is a section from a film script, but mostly these are real accounts. Some are snippets of the joy that people manage to find in the most adverse situations (the makeshift birthday cake was inventive) but a lot of them are melancholy and one particularly made my heart hang heavy. Not a book to be read if you want escapism (deliberate pun there) or entertainment, but some real thoughts that... you never know... might stop someone from doing something stupid someday... because some of these pages are heartbreaking. I leave you with one of the recipes which is worth keeping in your arsenal... The Belushi... useful also for diabetics on a serious sugar crash, and similar is taught to us in First Aid. Once at the L.A.County jail, I saw a man lying on the floor, shivering and sweating like crazy. You could tell he was a big-time addict by looking at his arms. 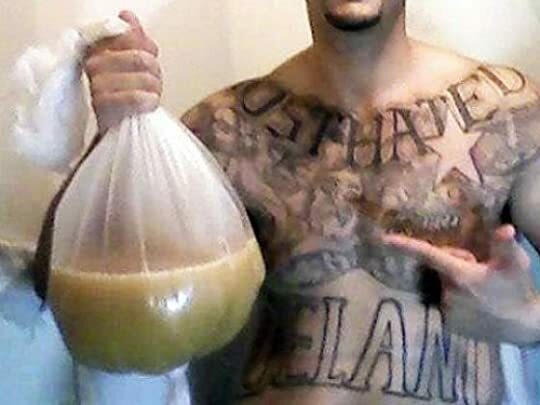 Another inmate brought him this special drink - the Belushi. About 30 minutes later, after finishing it, he was calm and composed enough to walk over and thank the man. I asked the lifesaving coffee maker why he called it a Belushi. He explained that John Belushi was a great comedian who died of a drug overdose. I guess having a sanity-saving, sugar filled coffee drink named after you isn't a bad way to be remembered. It's loaded with sugar and helps with the symptoms of heroine detoxing. Place coffee in large mug. Add the sugar and creamer. Add the water and stir well. Then add the Milky Way and drink immediately while the candy bar melts. I won this book through a Goodreads Giveaway. Thank you to the author and publisher for the opportunity to read and review this book. What a completely original idea for a cookbook...although I wouldn't necessarily categorize it one. It's a pleasing mixture of very raw prison stories and real ramen recipes. The recipes tend to have ingredients I wouldn't normally buy or eat (vienna sausages, pork rinds, etc), but some of them did sound okay. I think the real value in this book can be seen by thos I won this book through a Goodreads Giveaway. Thank you to the author and publisher for the opportunity to read and review this book. I think the real value in this book can be seen by those of us that have never been unfortunate (or stupid) enough to end up in prison. It's a very detailed glimpse of life in the prison system...and maybe a few lunch ideas as well. The foreword of this book written by Samuel L. Jackson was beautifully written.I just want to point out while it was interesting hearing stories from celebrities Gustove "Goose" Alvarez wrote his stories in such a amazing way.I love how he had stories for the recipes and some connected you to people he got to know along the way.I really enjoyed rotten pig because it the lesson behind it and loved the introduction Alvarez wrote and how knowledgeable the book was about life behind bars. I am not a fan of Ramen Noodles at all but was so curious I had to get this book. 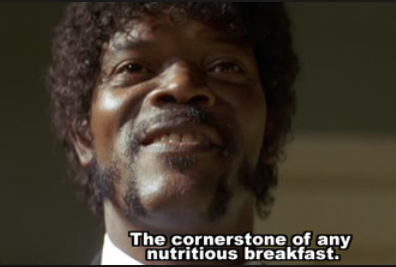 It really amazes me the ingenuity that went into creating all these recipes from just prison food. I would recommend this book to anyone who can stomach those noodles LOL! This book is full of anecdotes and recipes using ingredients the prisoners had actual access to. It pulls no punches when talking about the violence going on in a prison. There are several celebrity anecdotes as well. My favorite recipe is the tea that uses cough drops. I'm going to have to try that one! Ultimately, this book made me a little depressed having to face the reality of those behind bars, but I still recommend it. I was given an electronic copy by Workman Publishing Company and NetGalley, in exchange for an honest review. While an inhabitant of the California Institution for Men in Chino, a race riot and fire prompted author Gustavo "Goose" Alvarez to write this book with the help of his friend, actor Clifton Collins, Jr. The book is filled with inventive recipes separated by interesting stories about life in prison, allowing the reader to get to know the person behind the recipes. Teenagers and college st I was given an electronic copy by Workman Publishing Company and NetGalley, in exchange for an honest review. I really enjoyed this book a lot. Not only is it a cookbook full of interesting and creative recipes, but it's a book filled with stories of truth and horror of our crappy prison system in this country. I appreciate Goose sharing his stories and experiences. It made me sad for all prison inmates in this country who get treated like dirt and who suffer in a system that does nothing to keep them safe or help them rehabilitate their lives. It's a poor refection on the state she inmates get more gui I really enjoyed this book a lot. Not only is it a cookbook full of interesting and creative recipes, but it's a book filled with stories of truth and horror of our crappy prison system in this country. I appreciate Goose sharing his stories and experiences. It made me sad for all prison inmates in this country who get treated like dirt and who suffer in a system that does nothing to keep them safe or help them rehabilitate their lives. It's a poor refection on the state she inmates get more guidance, protection, and help from one another than they get from the people who are SUPPOSED to be doing those things. I'm actually planning to try a handful of these recipes because a lot of them sound pretty delicious. I read nearly every single recipe while reading this book because I was impressed with the inventiveness with ingredients and ways to prepare them. I ran across this book at my local library. Normally I would have never reached for it but since I have a friend incarcerated I thought I will flip through it. This bazaar cookbook of odd mixtures nuked in a microwave was awe-inspiring. The stories of life in prison read better than any fictional story I've read in a long time. Now I have some new questions for my friend...do you really eat stuff like this? Reason 9,781 not to go to prison - I'm a food snob. I came across this little cookbook at the public library. At first I thought it was an odd idea for a cookbook. But once I started reading, it was rather interesting. Alvarez talks about life behind bars and how important food is to the inmates. I was impressed by how creative the inmates are with cooking in prison. The ramen recipes are straight forward and don't require lots of hard to find ingredients. There are also a few recipes for candy and drinks. I actually really enjoyed the intelligent voices and stories shared throughout this book. I would recommend this to Latinx people who know a little about prison life because your 'uncle' went to jail for a few. Interesting way that they make ramen into different meals but it definitely sounded yucky haha. This book might be touted as a Ramen recipe book, but I propose, it's a book of recipes for life's "lemonade". A light read, despite the heavy experiences. Gifting this to a mouthy middle schooler, who thinks Scared Straight is fake, might make for a timely reality check. Surprisingly good. I read all of this in a matter of a few hours, but the stories and the recipes were all quite interesting. If you're looking for a book to keep you entertained for a few hours as well as new ways to cook up some ramen noodles, then I suggest that you try this book out. I brought this book home since my son is learning to cook, and I want him to be far beyond ramen noodles by the time he gets to college and life on his own. We both read it (he's 13) and loved it, very eye-opening for both with some very interesting ramen combinations. Great recipes and awesome stories. Quick, interesting read. Tons of great prison stories, focused on the day to day aspects. The recipes are sort of ridiculous but fun to read, ramen served in ways you could not believe. What a great concept, a prison story told with ramen recipes! Honest and fairly upbeat memoir about prison life told through recipes that you can make from commissary food. If you were completely fascinated by Chang's peacakes in OINTB, this one is for you. Loved this concept, the whole book, and all the recipes. No, I'm not going to make them (though more than one DID seem oddly tempting), but I did read every one! Not quite four stars, I'd go 3.5 if it were an option. Half-and-half prison stories (or in a few cases arrest stories from TV or movie people) and recipes, mostly ramen as one would guess but also a few drinks and a couple of other non-ramen dishes. 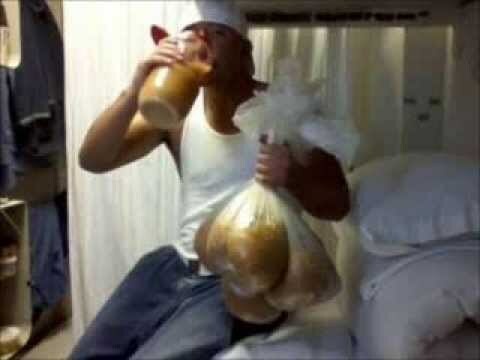 Although never in prison I've eaten my share of ramen, and have created some concoctions pretty close to some of these. It ain't health-food, but can be pretty darned good. And two of the stories are by Danny Trejo, I always like to hear from him. This interesting book combines the ramen-inspired recipes from the prison and the bittersweet stories from behind the bars - and it makes for a fascinating read. 4 stars go for the cooking issues - while I love ramen quite a lot, I would probably puke intensively because of some of the recipes! But this is just me being a high-maintenance ninny, because this is not the fault of the recipes by any means - after all, it takes a lot of creativity to try to cook with the very, very limited sources w This interesting book combines the ramen-inspired recipes from the prison and the bittersweet stories from behind the bars - and it makes for a fascinating read. 4 stars go for the cooking issues - while I love ramen quite a lot, I would probably puke intensively because of some of the recipes! But this is just me being a high-maintenance ninny, because this is not the fault of the recipes by any means - after all, it takes a lot of creativity to try to cook with the very, very limited sources when in the prison. But the look behind the bars is worth of your high-tea money here - I was touched deeply by how many humanity is packed within the shared meal, however bizarre the recipe for it is. How hard the prison life is (and don´t get me wrong, I am all in for the freedom limited for the serious criminals! But sometimes the punishment is too hard for simply being in the wrong place on the wrong time. ), how heart-wrenching some of the fates are. The prison time is a time between the wolf and the dog, so to say - but a simple act of kindness, a simple meal shared can make a difference, even a miracle. This is both a book of very short essays and interesting ways to dress up instant ramen. Most of the recipes are not feasible for my family due to great deals of spicy additives like sriracha or jalapeno peppers. But the creativity in turning a bag of bland noodles into tastes from many different cultures is fascinating. The essays are sometimes brutal, sometimes hopeful, sometimes amusing, but always painfully real. Mealtime seems to be one of the few civilized factors in prison, but even that i This is both a book of very short essays and interesting ways to dress up instant ramen. The essays are sometimes brutal, sometimes hopeful, sometimes amusing, but always painfully real. Mealtime seems to be one of the few civilized factors in prison, but even that is not sacrosanct. This book is filled with first hand accounts of violence and revenge, and the difficulty of moving past that even after release.